Any place where a green, quiet and cost effective vehicle is needed. 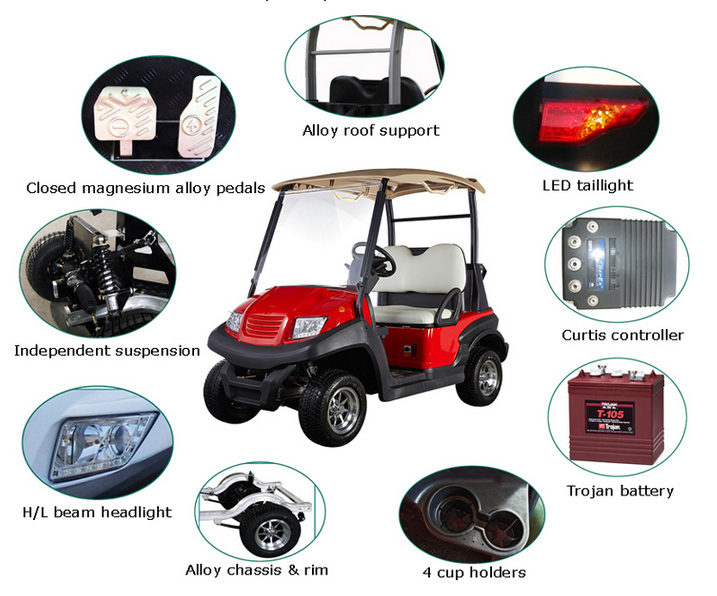 To increase the sales value of our vehicles, we also provide many optional accessories. Within 4 weeks after getting your 30% deposit.Details depend on the order quantity. 1. What is your lead time for production? The typical lead time of our vehicles is 2-3 weeks. 2. What kind of warranty Eagle provides? We provide 13 months warranty to the vehicles sold from the shipping date. At the same time, we will provide some FOC spare parts for rapid worn parts. 3. What kind of payment methods can you accept? Normally we can accept T/T and L/C at sight. We do not have MOQ request. You can order just 1 sample car. However, additional packing and operating cost will be charged if delivered in LCL way. 5. Can I put my own Logo on the vehicles? Yes, you can put your own Logo on the vehicles. 6. Do you provide OEM service? Yes, we do provide OEM service. 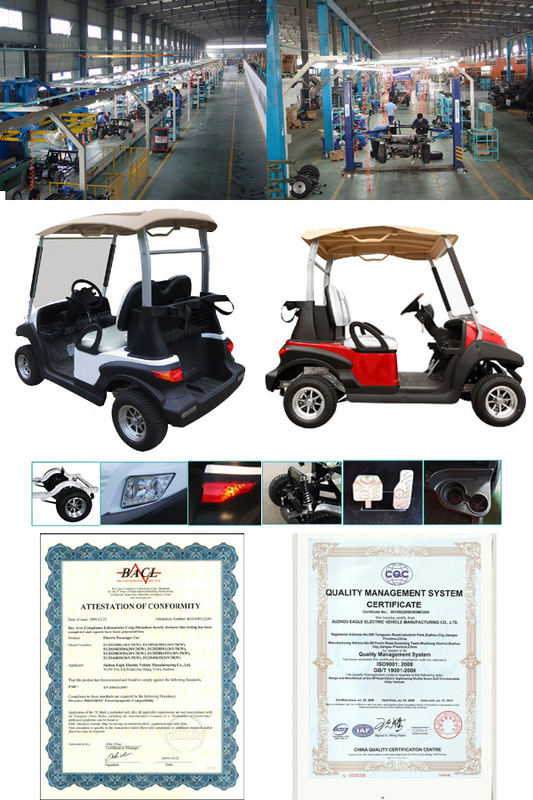 However, we will require minimum 500 units vehicles yearly for OEM project. 7. Can you customize the vehicles according to our special request? Yes, we can customize the vehicles according to your request unless the customization is not related to the chassis and mold of any parts. 8. Do you supply spare parts if I buy your vehicles? Yes, we supply all the spare parts used in our vehicles at reasonable price and lead time. Furthermore, for the model which we stopped production, we even supply spare parts in 5 years from the year we stopped it. 9. Do you provide after service if I buy your vehicles? We will provide spare parts and technical support for after service. However, if any parts need to replace, you will need to do this yourselves, we will provide instruction if needed. 10. Do you provide spare parts book and operational manual? Yes, we provide them. The operational manual will be sent together with the vehicles. The spare parts book will be sent via email separately. 11 Do you provide Trade Assurance via Alibaba? Yes, we do. Trade Assurance order is welcomed!